The legacy of a family does lean on how traditions perdure. From a simple recipe to an intrinsic piece of jewellery, the family hands down an heirloom which grows into a legacy decades down the line. History has always narrated tales of rare royal jewels or exquisite piece of art but if you ask me which heirloom or tradition resonates with the word esoteric, the only name rushing to my mind is Fabergé. For those who aren’t familiar with this iconic jeweller of the Russian Tzar in the 19th century, this post will swiftly travel through history and showcase the most fabulous tradition followed by the Russian Tzar out of love for his Empress. 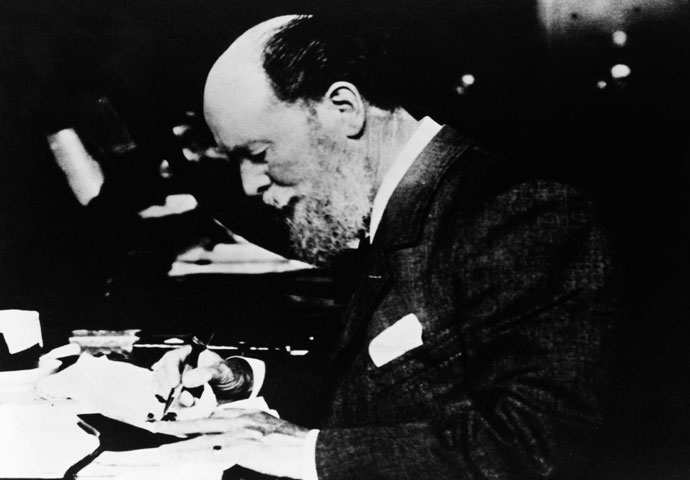 Peter Carl Fabergé, born in 1846, was not only an artistic jeweller but a great entrepreneur who gave birth to the house of Fabergé – a brand synonymous with bespoke jewellery and heritage collection. The baroque and renaissance style in his craftsmanship dates back to his days of apprenticeship with his father when he was profoundly influenced by the treasures in the Green Vaults. His journey across Europe from Paris, Dresden, St. Petersburg have left behind a silt of exceptional refinement that are reflective in his timepieces and jewellery. The year 1882 would become significant for etching his name in history and turn him into a legend. Imperial Legend: Tzar Alexander III had a wish to impress his wife the Empress Maria Fedorovna with an intricately jewelled Easter Egg. Legend has it that it was the Empress’ fascination towards an 18th century egg owned by her aunt Princess Wilhemine Marie of Denmark that had inspired the Tzar to gift an Easter Egg. Easter was a celebrated day in the Russian Orthodox Church with a long standing tradition of painting eggs and offering them to be blessed by the church only to be gifted to family. An ode to their love and to commemorate their 20th anniversary, were the compelling thoughts behind this masterpiece. In 1882, Tzar Alexander III appreciated Peter Carl Fabergé’s work of craftsmanship at an exhibition in Moscow, it was this moment of acquaintance that led the commissioning of Fabergé to craft the first Imperial Easter Egg. Tzar’s ideas have influenced the detailing of the egg during the process. It was called the Hen Egg and it bore the seed of a jubiliant tradition that has endured. The delight of the Empress upon seeing the hidden diamond replica of the imperial crown inside the golden hen initiated a tradition of gifting an extraordinarily crafted egg with a hidden surprise until 1917. After Alexander III, his son Tzar Nicholas II continued the imperial tradition to gift his wife Empress Alexandra Federova and his mother an Imperial Egg. 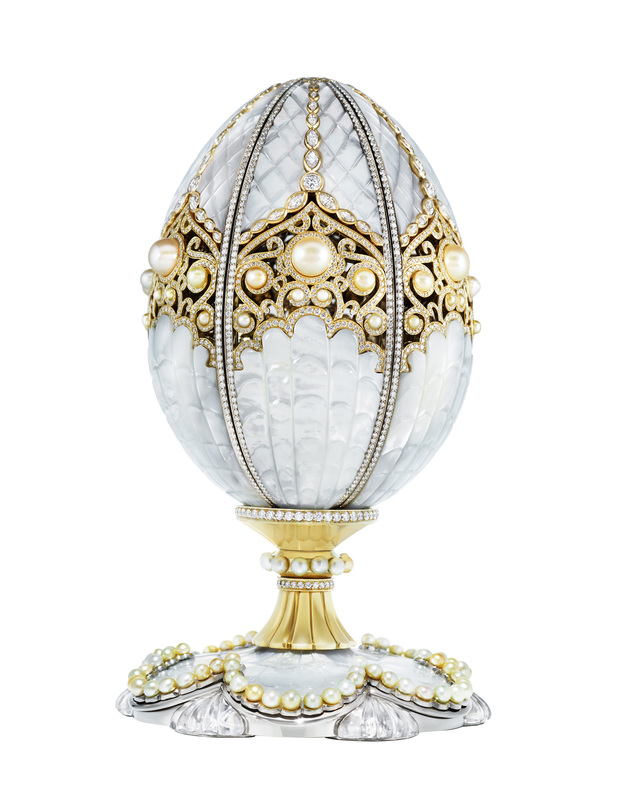 Every year, Fabergé would design an egg based on the imperial history or events, for instance the 1911 egg was to commemorate the fifteenth anniversary of Nicholas II’s accession to the throne. The 1913 egg was to celebrate tricentenary of the Romanov dynasty. Lost Symbols: When the Russian revolution broke out, along with many family jewels these Easter Eggs were stolen as well. Only 43 of the 50 have survived. The original diamond replica of the crown hidden inside the Hen Egg was stolen as well. The royal family did gift one of the Imperial egg to the British royalty as a symbol of gratitude for helping during their loss. Some of the other Eggs have been placed in famous museums like British Museum and Metropolitan Museum of Art during a special exhibit. After the Russian revolution, the company of Fabergé was nationalised and the production was stopped when the family fled from Russia. Soon after the death of Peter Carl Fabergé his family lost the rights to inherit the name of the company. Reviving traditions – In 2007, the family was reunited with the name and has been living up to the legacy of the founder ever since. To celebrate the centennial of the last imperial egg the house has crafted the first Fabergé Pearl Egg after 1917. Fabergé has a special Imperial collection inspired by the Romanov era as well as collection of jewellery and timepieces. The legend of Fabergé will live eternally through the tales of a royal tragedy and the resurrection of its heritage with the surviving masterpieces and the new additions to the collection of the brand. If you wish to begin a tradition or add to your traditional collection some exquisite work of art please do visit Faberge.